We offer a wide range of Facility Management training courses, which have been designed with the perspective, knowledge and methodology of expert consultants and leaders in the market. Besides our standard training, we have created a range of options to satisfy more specific needs. These are usually based on meeting targets that go beyond mere content. We offer support to FM professionals who need coaching in order to improve their connections with the sector or evolve in their workplace. This service satisfies client needs in a personalized way and does not merely involve training. Each individual has different needs, depending on their situation or the objectives that they have set. That is why we have divided this section into three categories. 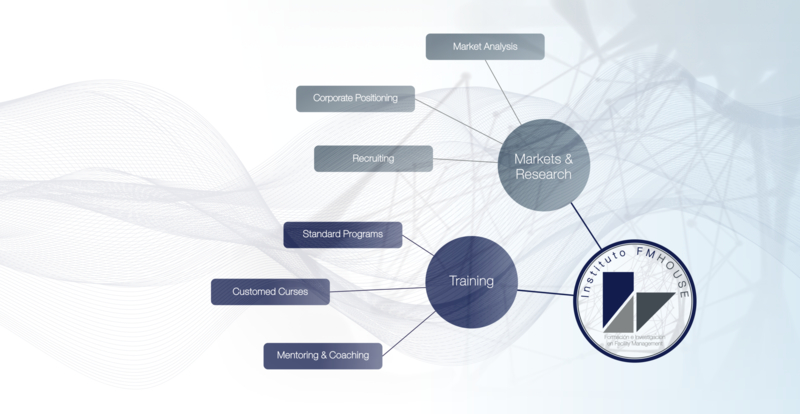 We share with clients and providers all the knowledge produced by a dedicated team, which is permanently studying market trends and development at an international level, through reports and communications. Our knowledge of the evolution of FM industry trends in different regions is fundamental to the development of our activity. It allows us to advise industry suppliers about best practices, whether for commercial plans and approaches, visibility strategies, or the launch of new products or business lines. Our extensive knowledge of the sector added to our market position has led us to focus on recruitment—which was previously available only for existing clients—as one of the core activities of our company.